Almost exactly 15 years ago, one of Ubisoft’s most beloved titles graced the consoles of the PS2 era, and introduced the gaming community to the sci-fi world of Beyond Good and Evil. Though the game didn’t end up a commercial success, Michael Ancel’s project went on to receive critical success and a massive cult following, its influence still felt today. Today, Ubisoft producer Guillaume Brunier has announced via Italian gaming website Everyeye that the company is expected to show new gameplay footage of the sequel on December 10, 2018. 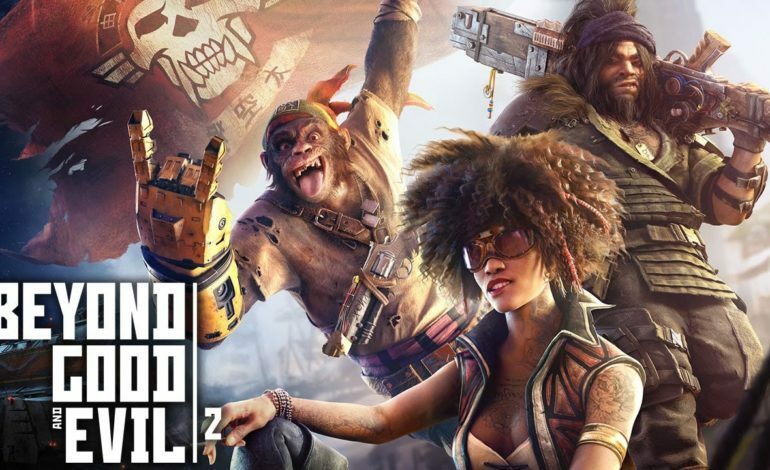 In late 2016, all the rumors, doubts, speculations, and hopes of the last 10 plus years were finally resolved when Ubisoft revealed that development of Beyond Good and Evil 2 was in the works. At E3 2017, the company revealed the game’s identity as a prequel, as well as some in-game footage of the new engine. To further the hype a year later, Ubisoft showed off a cinematic trailer at E3 2018 – to the ecstatic reactions of fans everywhere – that gave players a taste of the story and world, and revealed the appearance of pre-BGE Jade, the protagonist of the first game. From the presentation at E3 2018, it was clear that the game was going to be a very ambitious project. Citing technological restraints as the limitation for the first game, Ancel told Eurogamer that the game will finally be able to match the intended scope of his vision. He also told Jeux Vidéo Magazine that the prequel will be more complex in story, characters, and the overall world. Ubisoft made big claims about the game having both single and co-op experiences, developing procedurally-generated space travel mechanics, bringing in crowd-sourced creative content of art, music, and more from HitRecord, integrating elements of online worlds, making the game more RPG-focused, and more. Fans had mixed reactions beyond the reveal, however, as this is the Ubisoft of 2018, one that has disappointed on big projects before from its many franchises. With no release date and no announced platforms, it’s no surprise that gamers are still cautiously optimistic about Ancel’s grand project. The announced Beyond Good and Evil Fest in Montpelier could put a lot of the concerns to rest with community events and possible reveals, but that has been delayed to 2019 according to Brunier. With the upcoming December demo footage, hopefully there will be enough substance there to not only tide fans over until next year, but to mitigate their fears about Ubisoft’s potential overpromises as well.